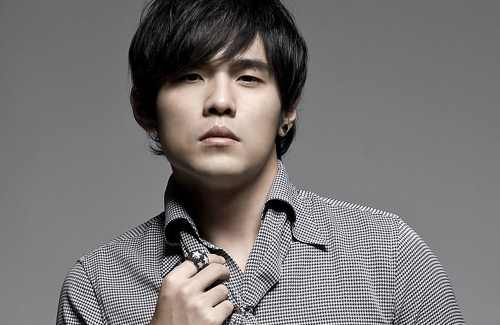 At 35 years old, Jay Chou’s (周杰倫) career is certainly not slowing down. Pocketing 618 million NTD in revenue from his nine endorsements, five mall promotions, and 21 shows from his concert, Jay is the top earner among Taiwanese singers in 2014. Although Jay was seen going on vacation with girlfriend Hannah Quinlivan (昆凌) several times this year, and was speculated to be busy preparing for the couple’s wedding, he still commands high fees for his appearances. Jay earned 6.25 million NTD from just partaking in a magic programme. Coming in a close second is Taiwan’s superstar diva, Jolin Tsai (蔡依林) who reaped roughly 578 million NTD in 2014. If Jolin held a concert this year, her income would surely surpass Jay. Very close behind Jolin is Show Luo (羅志祥) with 560 million NTD. A large chunk of Show’s income was from his endorsements which helped him earn 399 million NTD. Leehom Wang’s (王力宏) daughter was born in July. Not only did the singer’s daughter bring the family happiness and joy, but she brought along a lot of luck. Placing fourth on this year’s top earners chart, Leehom earned a healthy 435 million NTD. Nabbing the fifth spot on the chart is Taiwan’s favorite girl group, S.H.E with 398 million NTD in total income. The rest of the top 10 include: Jam Hsiao (蕭敬騰) with 379 million NTD; Mayday (五月天) with 375 million NTD; Elva Hsiao (蕭亞軒) with 363 million NTD; JJ Lin (林俊傑) with 246 million NTD; and Rainie Yang (楊丞琳) with 183 million NTD. Totally agree with you, Jay and Jolin makes a much better couple. Yes. I actually really liked that couple even though I’m not such a fan of jolin anymore. This is irrelevant but have You heard about Daniel Radcliffe, Lizzy Caplan and Jay Chou going to be in a film together? But it appears they love younger boy toy or boy girl relationship no? That Jolin is w/a HOT out of her league good looking guy but Jay w/21 year old?? So both into younger and cuter others while they are plain as heck. haha…But one thing they have in common is BOTH ARE RICH. What does being Christian have to do with making money? They earn a lot due to their hard work,luck, and other factors. I am sure being Christian or any faith had anything to do with it. I agree with HeTieShou, what on earth does being Christian have anything to do with? Hhaha…Exactly, Wang Lee Hom is god this and god that as well….what does that have to do w/being a top earner? haha LOL..WTHeck..
Queen Jolin. If she promoted an album, she definitely come out on top. I think she just might next year though. She’s just about to put an album out. Jay better watch out lol. Congratz to the both of them tho. Love the whole top 4 actually.